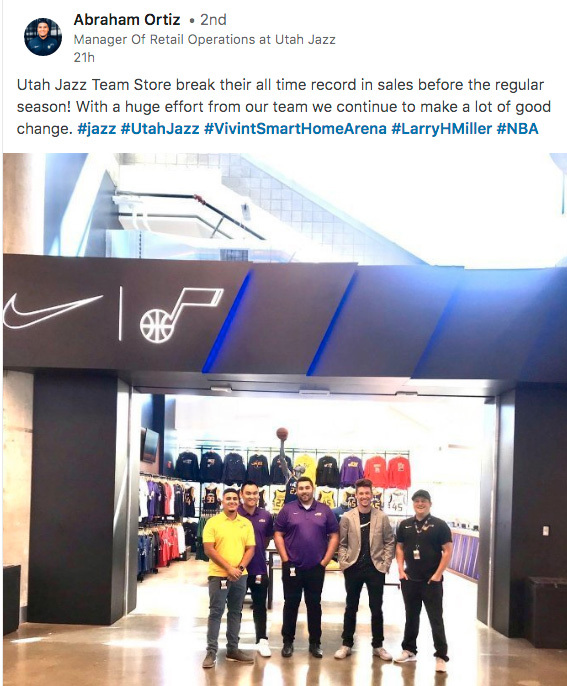 Utah Jazz Manager of Retail Operations just posted on LinkedIn that they’ve beaten their all-time record in sales. Congrats to the Utah Jazz on record sales. It’s an honor to call such a respected organization an SEO client.